Ohio Governor John Kasich has called a press conference to remind people that he is still in the race to be the GOP nominee for President in order to increase the impact of his announcement that he is suspending his presidential campaign. “Mr Trump is not the presumptive nominee for the Republican nomination now that Senator Cruz has suspended his campaign. People have forgotten that I still have an active campaign, which I am now suspending, paving the way for Mr Trump to be the presumptive nominee,” Gov. Kasich told a sparsely attended audience. While many voters were surprised to discover that Gov. Kasich was still in the race, the announcement was the biggest shock to Kasich’s friends and family, many of whom had assumed the Ohio Governor was missing and presumed dead. “I’m just so glad that John is still alive. 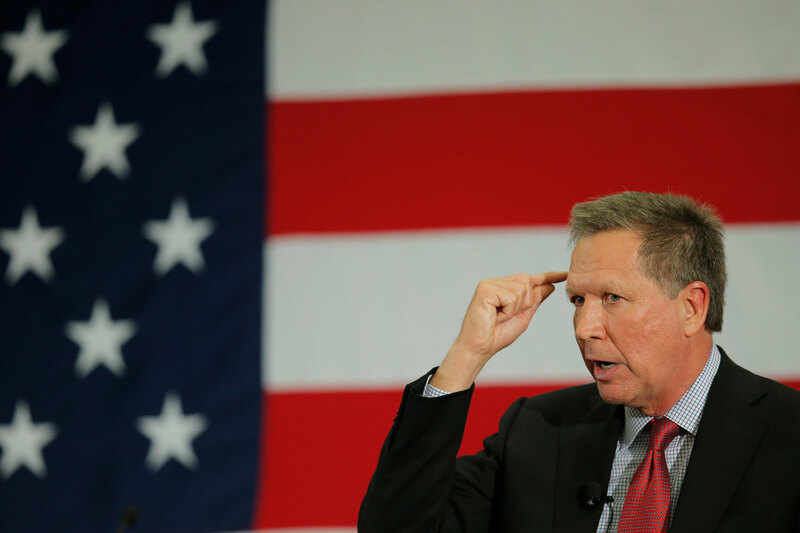 When he was declared missing by the Columbus Police Department, I never gave up hope that the Lord would deliver my Johnny back to me safe and sound,” John Kasich’s wife told the (un)Australian. Now that Gov. Kasich has dropped out of the race, businessman Donald Trump has an unblocked path to the nomination as of Tuesday when Senator Ted Cruz dropped out. At learning of the news, Mr Trump called his own press conference, taking to the stage to laugh maniacally whilst rubbing his hands with evil glee. In unrelated news, citizens in America are reporting sightings of a blood red comet shooting across the night sky. This irregular phenomenon is said to happen only once every 1000 years and has sent the nation’s leading seers, oracles and economists into an outright panic. Matthew Farthing is the American reporter for the (un)Australian. As a progressive, left-wing advocate, if Bernie Sanders does not win the Democratic nomination, rather than support Hillary, he will throw his support behind the right-wing, racist, businessman.